The following are jobs approved by POEA for deployment to Singapore and Hong Kong. Job applicants may contact the recruitment agency assigned to inquire for further information or to apply online for the job. We are not affiliated to any of these recruitment agencies. 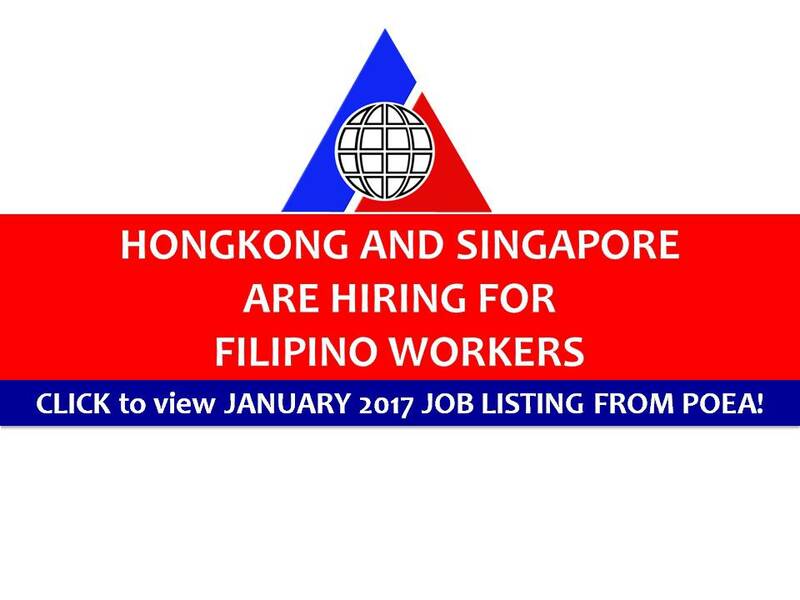 As per POEA, there should be no placement fee for domestic workers and seafarers. For jobs that are not exempted on placement fee, the placement fee should not exceed the one month equivalent of salary offered for the job. We encourage job applicant to report to POEA any violation on this rule. The reason behind, why Dubai is a safe city! LIST: ARE YOU FIT OR UNFIT TO WORK ABROAD?